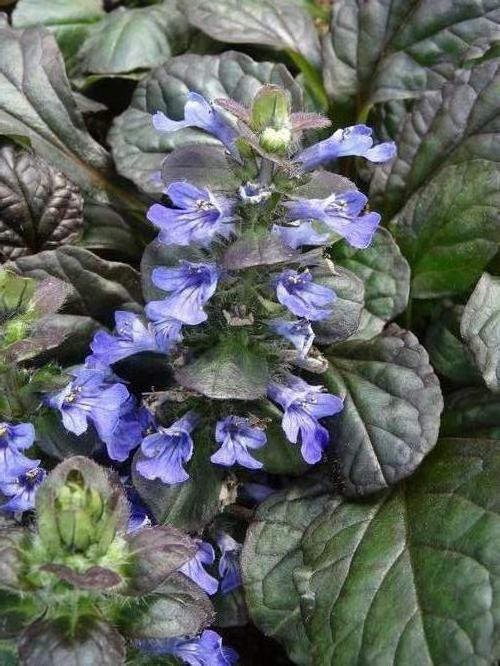 Large purplish-bronze leaves with 10" blue flower spikes in early spring. Rapid growing and easy to maintain. Grows well under trees where other plants may have difficulty. Blue flowers bloom on short spikes in early spring.